We are primarily a “screen-free” family. We started with the goal of 0-2 being without t.v., and three years in we are still 99% screen free. Avery has seen t.v. a handful of times in the past year. The Macy’s Thanksgiving Day Parade, The Olympics, his first movie (Finding Dory – at El Capitan), and some episodes of Sesame Street and Daniel Tiger when I was incredibly sick. We don’t let him use the iPad or have our phones. We reserve tv viewing for special occasions opting instead for book reading, bike rides, art projects, creative play and lots and lots of music around the house. As he gets older though, we are trying to navigate the world of technology in a meaningful way. I think that’s the hardest part – it’s easy to just not have it as an option…but that’s also completely unrealistic to maintain the older he gets. So now we are in this place where we have to find a way to teach moderation. Letting it in without it overtaking his life. Especially knowing that as he starts school he will ultimately be introduced to the world of Paw Patrol, Daniel Tiger, and all the other programming out there that we know nothing about. Literally nothing. I spent about two hours trying to figure out the names of all the Paw Patrol characters because he got a coloring book and wanted to know their names. I still haven’t figured out the name of the “green one.” So far we have stuck to the old school classic – Sesame Street – because well, it’ hasn’t changed since I’m a child…oh and Daniel Tiger because I found out it was basically a reincarnation of the classic Mr. Rogers Neighborhood. But it is time we start investigating some of the more “current” programming so that we can help guide him towards the ones that are going to be 1. not insanely annoying and 2. somewhat educational in nature. Besides research shows that watching engaging educational programming (in MODERATION) can make kids more excited about learning at a young age, and help teach “lessons” like stranger danger, and appropriate behavior in a way that kids respond to really well (or at least better than hearing mom say “because I said so”). Like for example, the little dude recently met a new “friend” at camp that has taught him some “choice” words he finds hysterical…and regardless of what mommy and daddy say, he continues to say them with great vigor. It would be AMAZING to find a show that could perhaps ‘teach’ us about ‘not nice’ words. *Side note: if anyone knows of such an episode please let me know! Last week I had the opportunity to take Avery to an event for the launch of a brand new preschool series, The Stinky & Dirty Show premiering on Amazon Prime Video September 2nd. 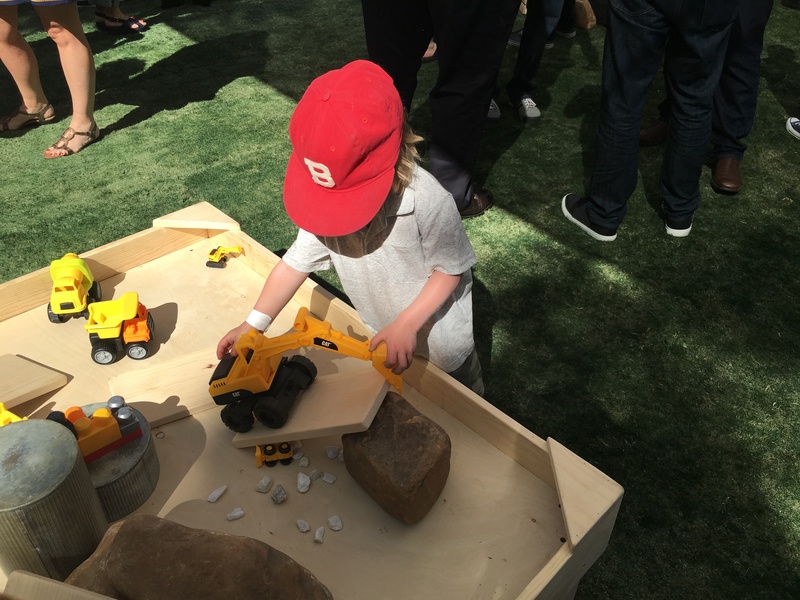 I knew it would likely be a hit since the main characters are a garbage truck (Stinky) and a backhoe loader (Dirty) and well, he’s a toddler boy who loves any and all trucks, evidenced by his recent construction themed birthday party! I was pleasantly surprised to learn that the show written and developed by Guy Toubes was actually based on one of our favorite book series’ by Kate and Jim McMullen (“I Stink”, “I’m Dirty”, “I’m Brave”, etc.). There is a host of celebrity voices on the show including Whoopi Goldberg, Jane Lynch, Andy Richter, Joan Cusak and Wallace Shawn AND the music was created by acclaimed folk singer Dan Bern giving the soundtrack a super cool classic rock-meets folk-with a hint of country vibe that I would actually not mind listening to on a loop in the car. Seriously. It’s good music. But the real bonus for us is that it’s on Amazon Prime which we are obsessed with (free 2 day shipping?! If you haven’t jumped on that bandwagon folks you are missing out!) not to mention we don’t have cable…so being able to chrome cast to the t.v. (yes we have a tv…and old school rabbit ears) is ideal. What’s even better though is the show’s message. It’s sweet, fun and REFRESHING. Every episode revolves around Stinky & Dirty getting into some conundrum whether it’s running out of gas or trying to collect runaway bowling balls. They use their creativity to come up with hysterical solutions – most of which fail miserably. This is the part I LOVE – instead of treating each failure as a bummer, they embrace each plan that goes awry and use it to come up with a new idea…constantly asking “what if” and trying even the silliest of ideas until they find one that works. It encourages all of the things I want to instill in Avery when it comes to problem solving. Teamwork, creativity, embracing failure, trying things and trying again. It’s no surprise that the show enlisted the help of Dr. Alice Wilder and Jessica Lahey (author of New York Times Bestseller The Gift of Failure: How the Best Parents Learn to Let Go So their Children Can Succeed) to make sure the “curriculum” in each episode really embraces a message of creative learning. After watching the show Avery had TONS of questions, which to me is a sign of an engaging and smart preschool show. He wanted to know why the bowling balls were rolling away. Why they didn’t fit in the garbage truck. Why the dump truck didn’t know she dropped them all. Why? Why? Why? While some days the incessant WHYs can be tiresome, I was so glad that he wanted to know more – which meant to me that while he may have looked like a zombie watching the show, he was actually engaged, present and left THINKING afterwards. As soon as we got home, he immediately got his trucks out to play and literally hasn’t stopped playing with them since. He actually uses what he saw in the show to come up with new ways to play with his toys and it’s insanely adorable! 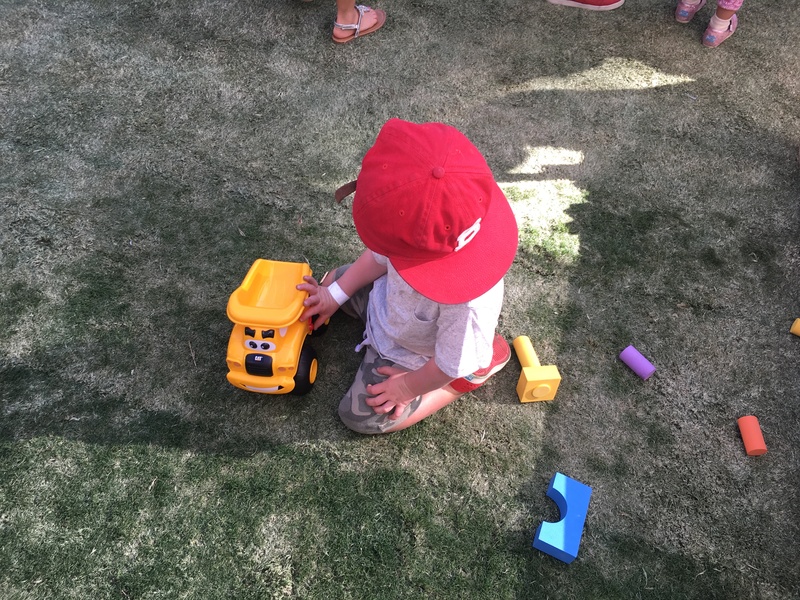 Not to mention he has renamed his trucks “stinky” and “dirty” respectively, and wants to know what all the other trucks are called – because OBVIOUSLY they all have names and personalities too now. If you are looking for a great show for your little one, I strongly suggest adding The Stinky & Dirty Show into your rotation. Go to The Stinky & Dirty Show on Amazon to stream episodes with Prime starting September 2nd! Until then, check out a little clip below and let me know what you think! *Sponsored Post Disclosure: I attended a free screening of The Stinky & Dirty Show and received additional compensation from KidzVuz for this post. All opinions are 100% my own.